The "Eleven Brooklyn Bombshells," a band led by Mickey Monroe (Dennis O'Keefe), are stranded in Tahiti at the time of the fall of France to the Nazis. Suzette "Suzie" Durand (Simone Simon). 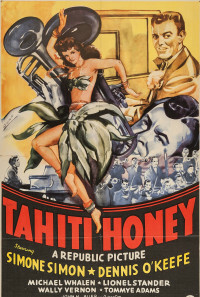 a French-Amrical girl singing in a nightclub is consumed with a desire to go to the United States. Things go from bad to worse for the band,. and they are faced with the necessity of either taking a girl singer into the group,which they all regard as bad luck, or starving. The band insists that she be dropped as soon as they can earn enough to catch a bot home. 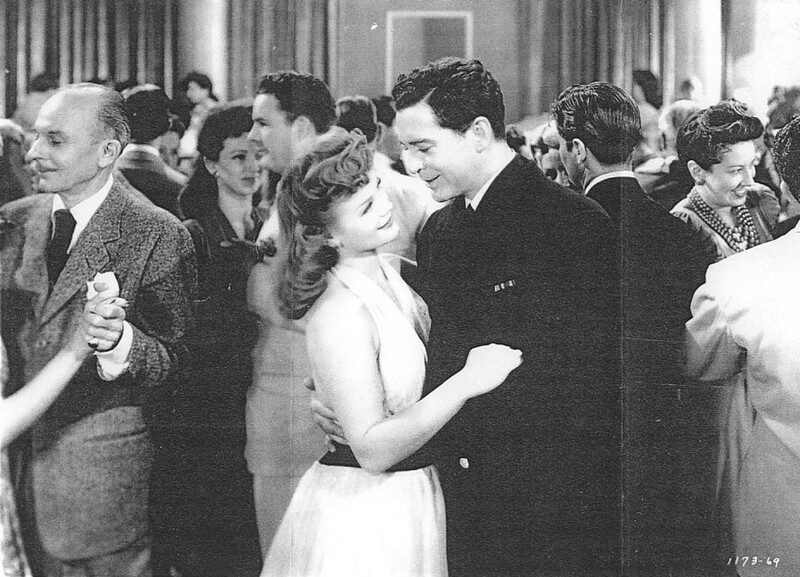 But Mickey falls in love with Suzie, and smuggles her on board the ship. Regions are unavailable for this movie. 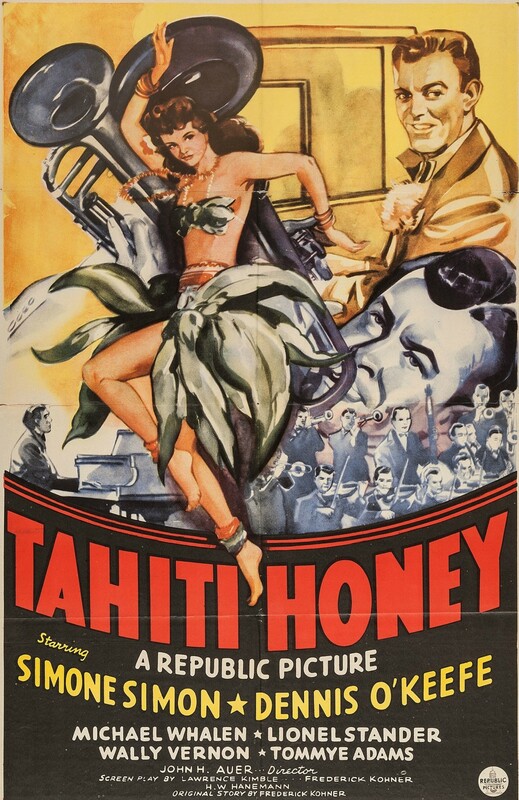 Click the "Watch on Netflix" button to find out if Tahiti Honey is playing in your country.